Rajiv Gandhi International Airport is India’s first Greenfield Airport under international competitive bidding, has been developed through a Public Private Partnership initiative (PPP). It is spread over an area of 5,495 acres of Shamshabad. The airport is 25km from the city of Hyderabd. 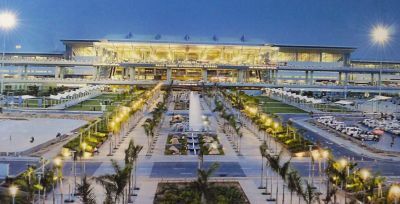 The terminal building spans 105,300 sq.m. designed to handle 12 million passengers per annum and the cargo section has a capacity of 100,000 metric tonnes per annum. In the final phase the airport will reach its full capacity with an additional floor area of 430,000 sqm to be developed, bringing the total built-up area to 900,000sq.m. The master plan has been designed to cater to 50 million passengers a year. To achieve this, the present master plan allows freedom of expansion to both airside and landside facilities within the airport site. The Plan of the airport is T-shaped. It ensures beautifully landscaped view from all the sides after the person is inside the airport complex. The design of the passenger terminal building is simple so that the sequences of spaces facilitate easy and comfortable movement and orientation. The passenger terminal will cover 105,300m² of floor space and has systems in place to ensure rapid transit between the domestic and international concourses. Spread around 2,500m². Its a spacious covered area complete with shopping, kiosks and stalls. There is also a business hotel near the terminal building. 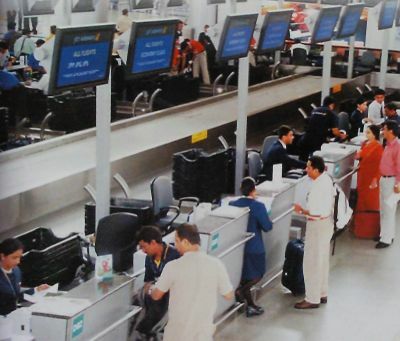 There are 130 check-in counters in the departures concourse in addition to 16 self-check-in counters for passengers carrying only cabin baggage. There are 23 departure counters, 22 arrival counters and 1 transit. RGIA has an integrated passenger terminal thereby providing ease of transfer from Domestic to International and vice-versa. The customs have in-line baggage screening machines for the two international arrivals reclaim baggage belts. This in-line baggage system eliminates the need for passengers to queue up for getting their baggage x-rayed prior to checking in. The system x-rays the checked in baggage at four levels. There are 13 Business Class Lounges that enhance the elegant environment and also offer a place for the passengers to relax. These lounges have services like Business Centre, Baggage hold pick up and delivery, Limousine Service, Gymnasium, Shower, Napping areas and Massage services. There are three VIP lounges located at Departure, Arrival and at remote gates on the ground level. There is a facility for Nap and shower at the airport for transit passengers to unwind and get ready for the connecting flight. There is small cafeteria. The Lounge is located below the airport village area, opposite the car park. It comprises 28 spa rooms with shower and a TV, a lounge with seating capacity for 44, two meeting rooms, business centre, four shower rooms, a massage room, TV viewing area and a 24-hour bar. There is also the provision of Spa facilities of the international standards at the airport. 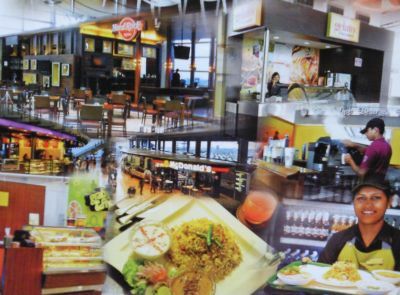 There are Retail shopping areas inside the airport. It has automated Parking Management System along with the unique ‘touch and go’ concept introduced for the first time in India. 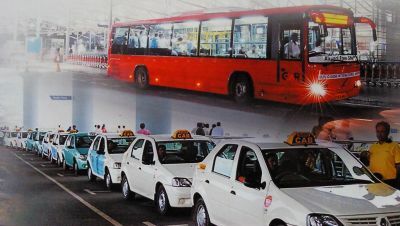 There is a provision to park over 3000 cars in front of the Passenger Terminal Building. I think this is so good to see the real awesome blog. Some really helpful information is in the write up. I have bookmarked this excellent source.